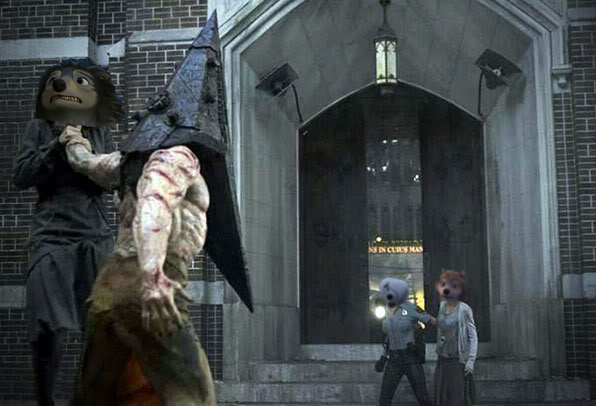 Kate and Lilly Meet Pyramid Head. . Wallpaper and background images in the आल्फा आंड ओमेगा club. This आल्फा आंड ओमेगा fan art contains सड़क, शहर के दृश्य, शहरी सेटिंग, शहर दृश्य, and शहरी की स्थापना. There might also be abattoir, butchery, shambles, and slaughterhouse.